Studio Venini pendant, Murano, Italy, circa 1950s. Red and white cased glass with heavy white internal diffuser married to richly aged nickeled brass hardware. Offered by Rayon Roskar. 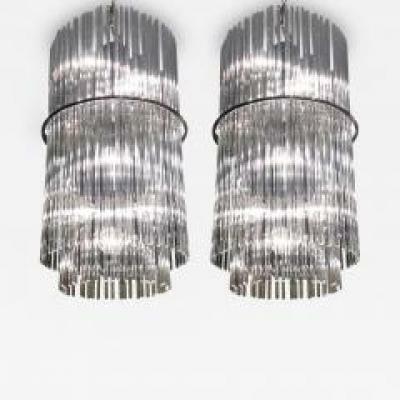 6-arm chandelier attributed to Venini, circa 1935. Striped Zanfirico glass combined with clear glass arms with gold inclusions. Offered by Donzella. Established in 1921 by Paolo Venini, a lawyer from Milan, and Giacomo Cappellin, an antiques dealer from Venice, Venini began as a glass factory in Murano, a cluster of islands in Italy known for glassmaking. Venini has always distinguished itself by creating designs rooted in the Venetian glassmaking tradition while also embracing Modernism and being open to new artistic trends. 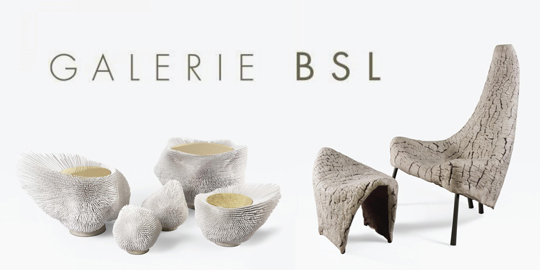 The company enlisted pioneering Modernist artists like Carlo Scarpa and Gio Ponti to design iconic creations for them. Venini continues to produce world-class art glass and art lighting almost a century after its founding. 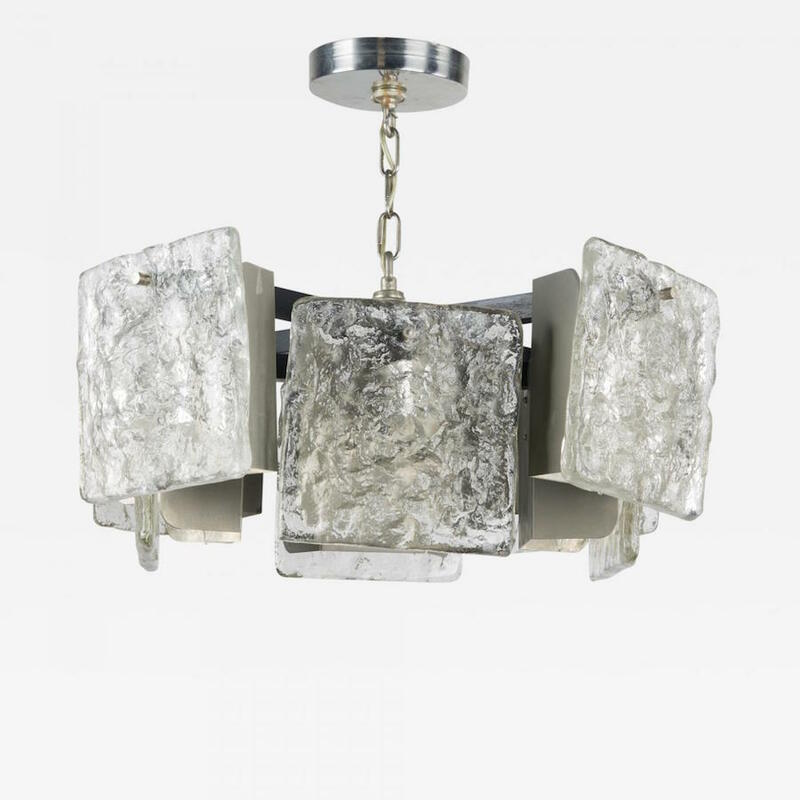 Six-panel ice block glass chandelier by J.T. Kalmar, suspended by chain with original fittings and canopy. Circa 1950s. Offered by FS20. 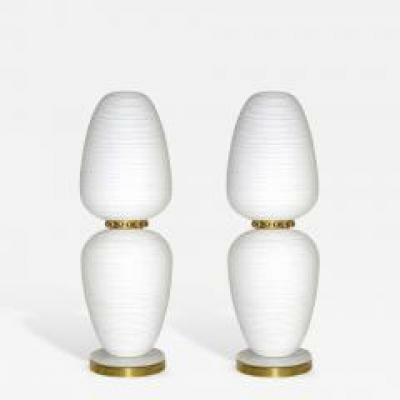 A pair of tulipan glass sconces with metal frames and brass hardware by J. T. Kalmar. Austrian, circa 1960s. Offered by Craig Van Den Brulle. Julius Theodor Kalmar was born into the world of glass一his father, Julius August, founded Kalmar, an Austrian lighting company, in the 1880s. 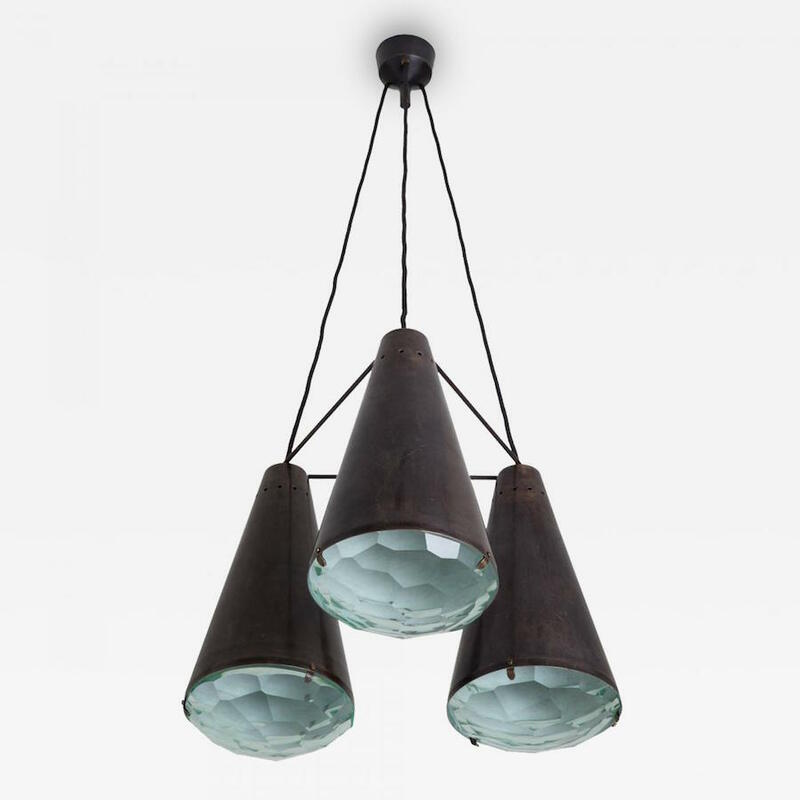 Though the company initially produced handcrafted objects cast in bronze, they switched their focus to lighting. Julius Theodor studied under Austrian architect, designer, and co-founder of the Wiener Werkstätte, Josef Hoffmann, in the early 1900s. Julius Theodor helped usher in a new era for Kalmar and ultimately established his father’s company as a maker of cutting-edge lighting with a reverence for material, form, and function. Today, Kalmar is in high demand and creates installations for major institutions around the world, including museums and palaces. 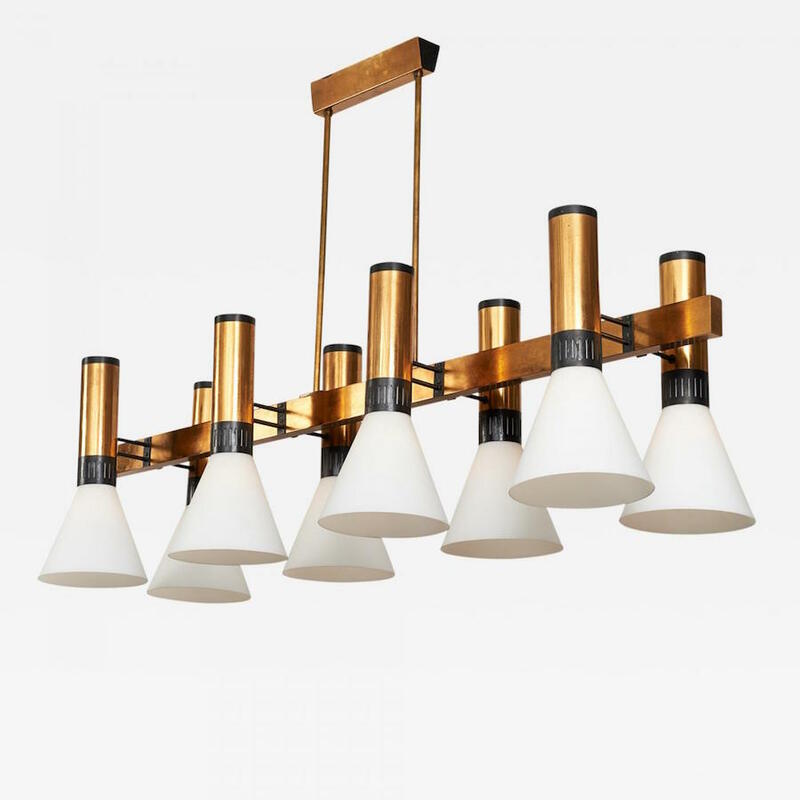 Stilnovo eight light brass and glass light fixture, Italy, circa 1950s. Offered by Eric Appel LLC. 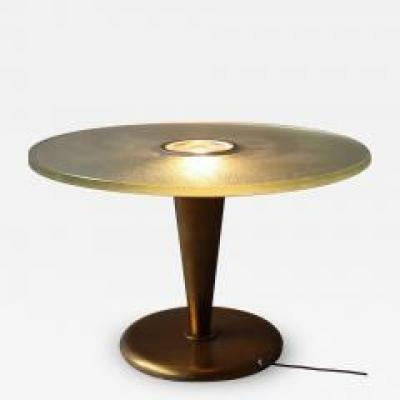 Unusual three light floor lamp by Stilnovo, with marble base and brass fittings. Offered by Donzella. 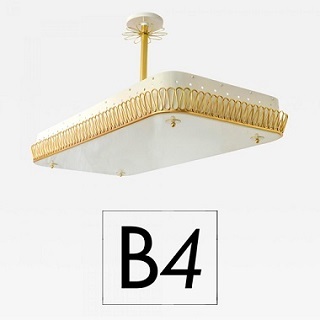 Stilnovo, the Italian lighting manufacturer, was founded by designer Bruno Gatti in 1946 in an industrial suburb of Milan called Lainate. 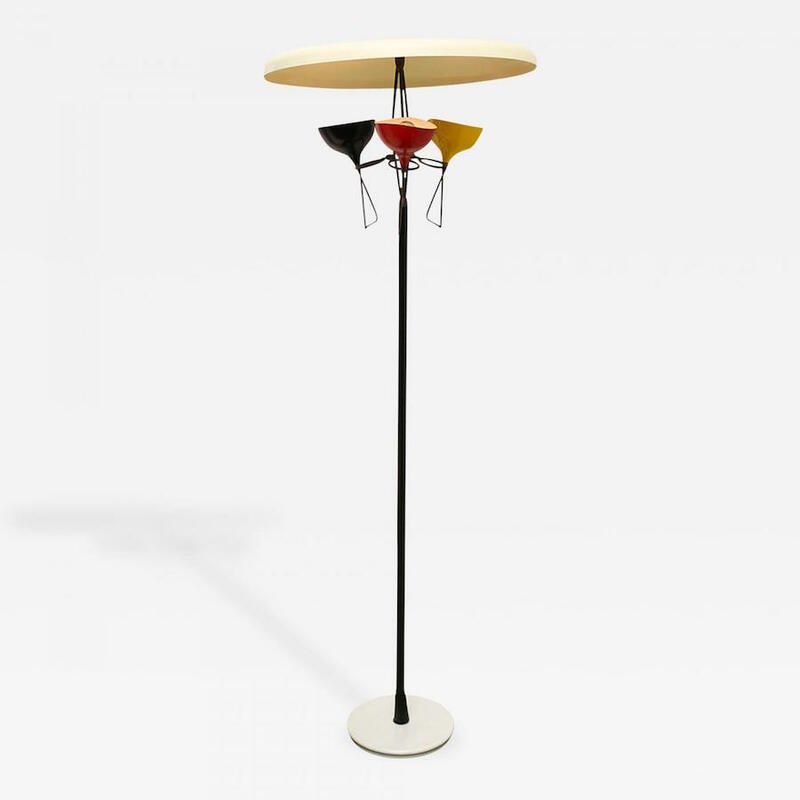 After World War II, Italy was focused on rebuilding but faced a great scarcity of materials, so Gatti dedicated the company to the production of innovative lighting elements that embodied rationalist, form-follows-function principles. The Stilnovo brand is associated with prestige and is known for its cutting-edge designs. "2126" chandelier by Max Ingrand, manufactured by Fontana Arte, Italy, circa 1961. 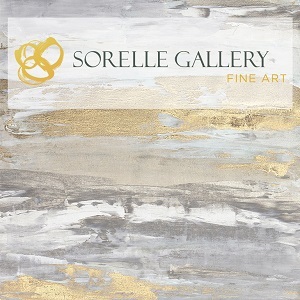 Offered by Galerie Harter. 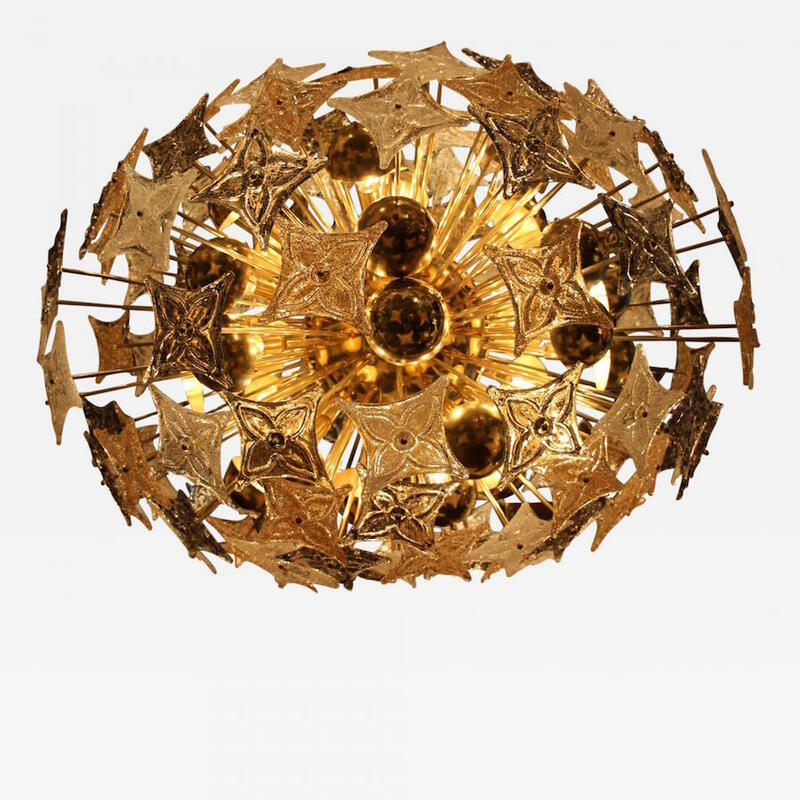 Chandelier by Max Ingrand for Fontana Arte, Italy, circa 1950s. 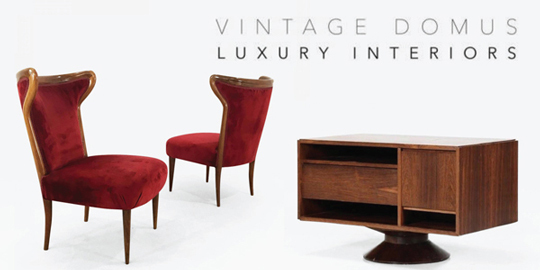 Offered by Bernd Goeckler Antiques. French-born Max Ingrand was one of the most celebrated glassmakers and decorators of the post-war era. 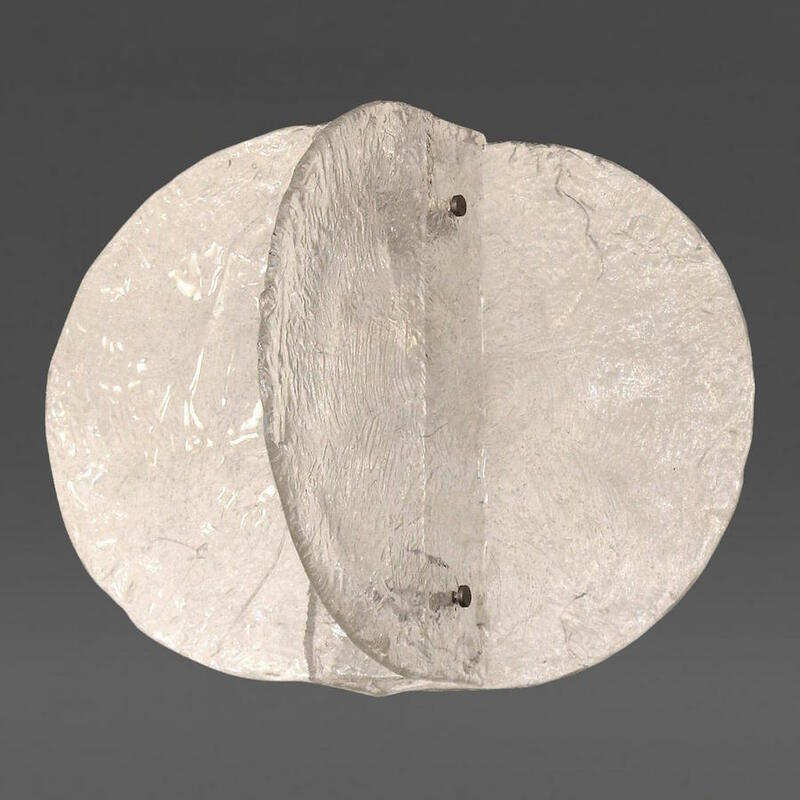 He served as the artistic director for Fontana Arte, the Italian lighting company, between 1954 and 1964, during which time he designed some of his most famous works, including the Fontana Lamp, which is still in production today. An accomplished stained glass artist, he also created panels for the Cathedral of Sao Paolo in Brazil, the French Institute in London, and other institutions around the world. Ingrand received the Legion of Honor, the highest French order for military and civil merits. 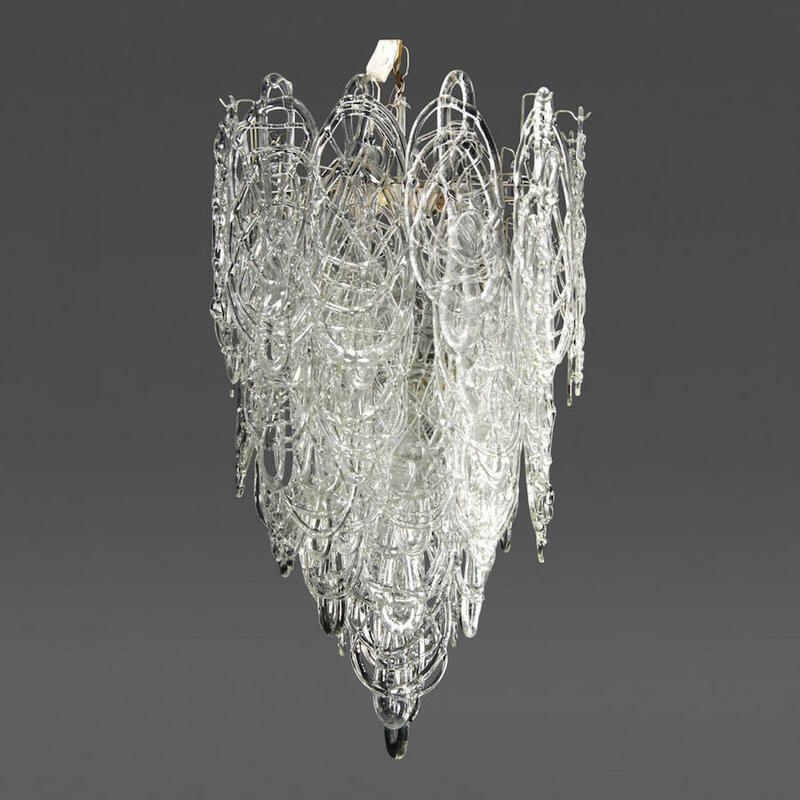 Extra large Sputnik Chandelier, glass by Barovier & Toso for Louis Vuitton, c. 2000s. 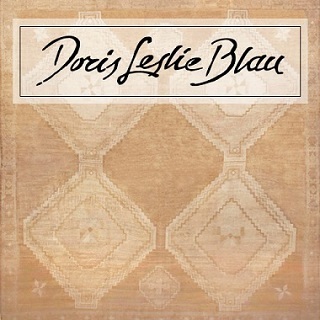 Offered by Red Rose Antiques. 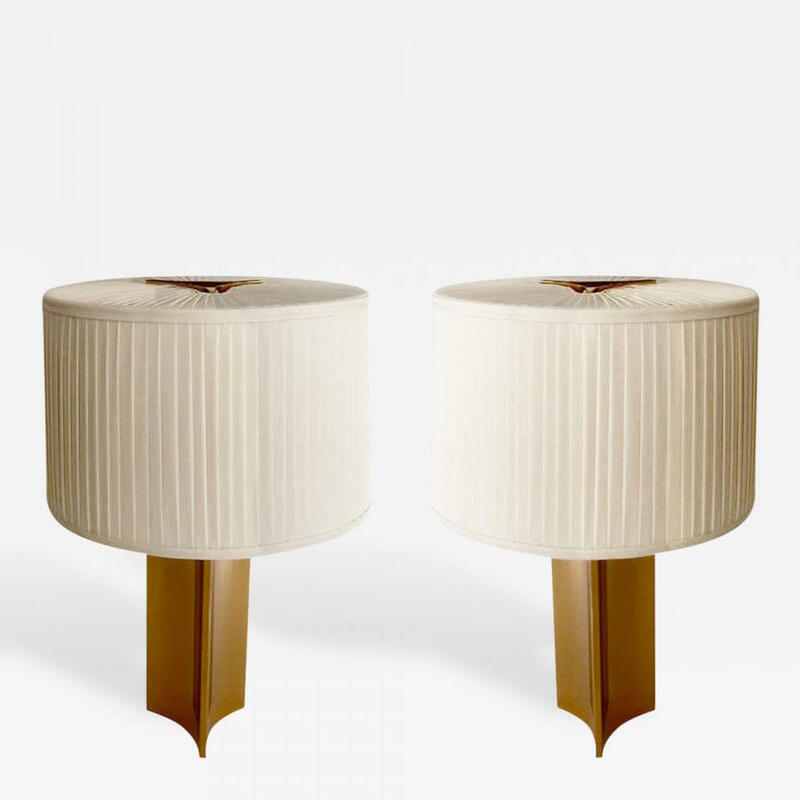 Pair of urn table lamps by Barovier & Toso, Italy, 1940s. Hand-blown black glass with controlled bubbles and gold inclusions. 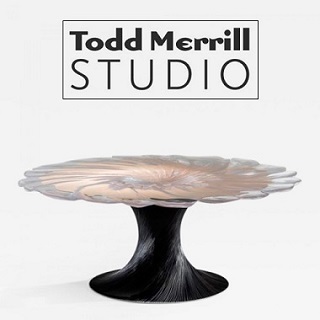 Offered by Lobel Modern, Inc.
Barovier & Toso is one of the world’s oldest family businesses, and is based in Murano, Italy, renowned as the "glass island of Venice." The Venetian glass company was founded over 700 years ago in 1295. Centuries later, in 1939, under the leadership of Ercole Barovier, the company merged with the Toso family to become Barovier & Toso. They specialize in crystalline glass, mother-of-pearl glass, and gold-free carnelian red glass, and operate the Barovier & Toso Museum一the only private glass museum in Venice. The company is now run by members of the 20th generation of the family, and is headquartered in the Palazzo Contarini, a gorgeous 17th-century structure. A chandelier consisting of interlocking pieces of glass on a metal frame by Carl Fagerlund for Orrefors, Sweden, circa 1950s. Offered by Craig Van Den Brulle. 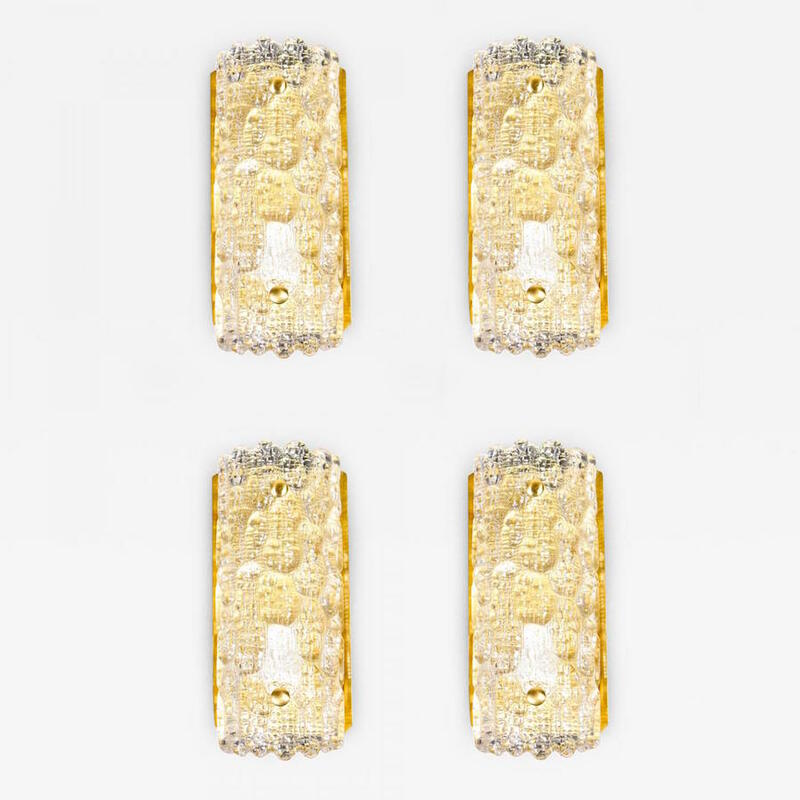 4 wall sconces in art glass and brass designed by Carl Fagerlund for Orrefors Sweden for LYFA Denmark, circa 1950s. 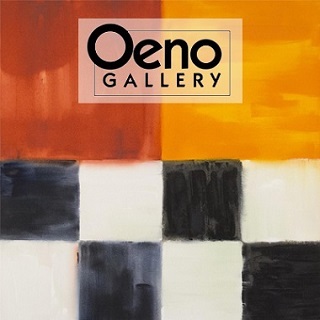 Offered by FK – Gallery. Born in 1915, Carl Fagerlund honed his craft in Stockholm, Sweden. After training at Stockholm A.C.S., he qualified to become a design teacher. Fagerlund went on to work for Orrefors, a glassworks company known for its exceptionally high quality crystal and art glass. He worked at Orrefors from 1946 to 1980, and designed dazzling lighting pieces in both geometric and organic styles. Large Paavo Tynell chandelier with eight blue opaline glass shades, tubular brass, brass stems, and mesh leaves, Finland, circa 1950s. Offered by The Exchange Int. 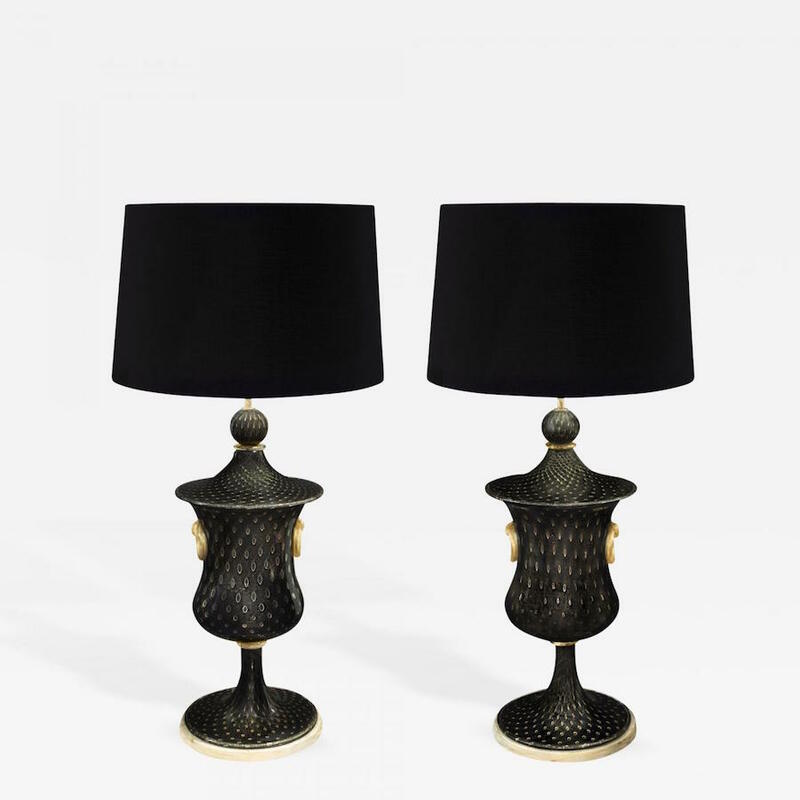 Pair of sculptural brass lamps with original silk shades by Paavo Tynell, manufactured by Taito Oy, circa 1940s. Offered by TFTM. 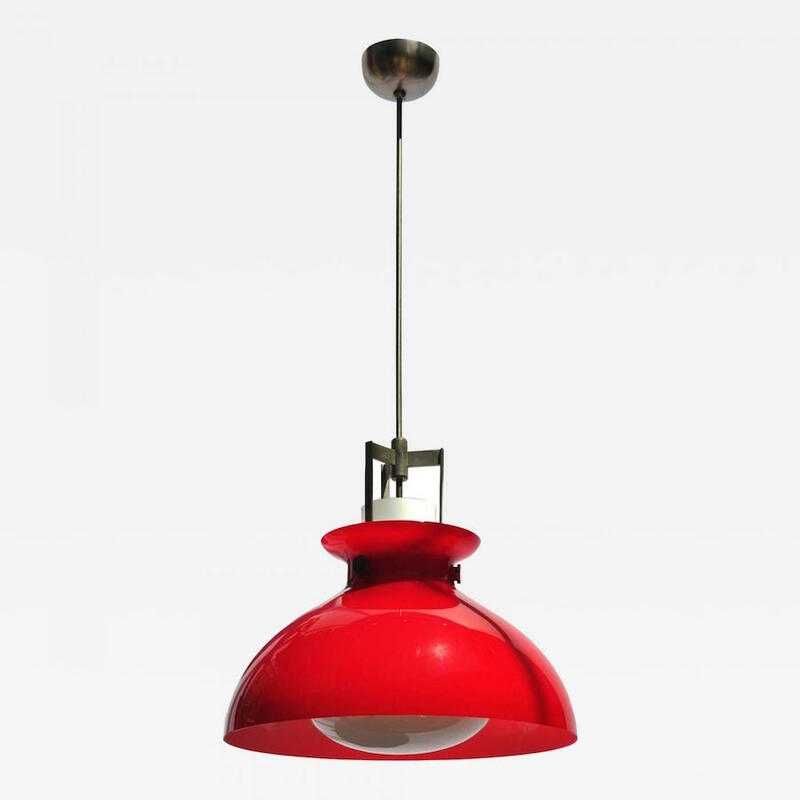 Finnish industrial design master Paavo Tynell specialized in lighting and design. He co-founded his company, Oy Taito Ab, in 1918 and served as its head designer. This company eventually became a dominant player in not only the Finnish lighting market, but in the greater European market and beyond. 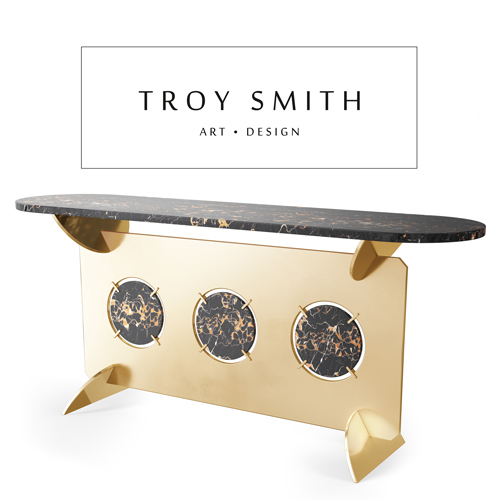 Tynell began freelancing for American companies such as Lightolier Inc., where he created his own interpretation of popular post-war American style. Though he worked extensively in the U.S., he lived in Finland for the rest of his life. 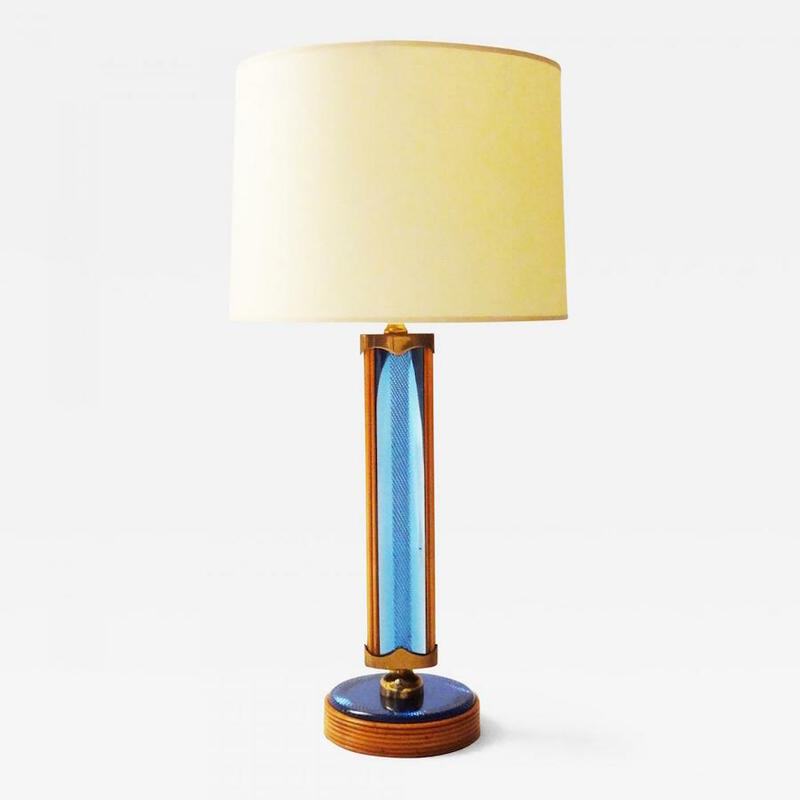 Pietro Chiesa for Fontana Arte table lamp in cut blue mirror and cherry, Italy, circa 1943-1945. Offered by Van Den Akker. 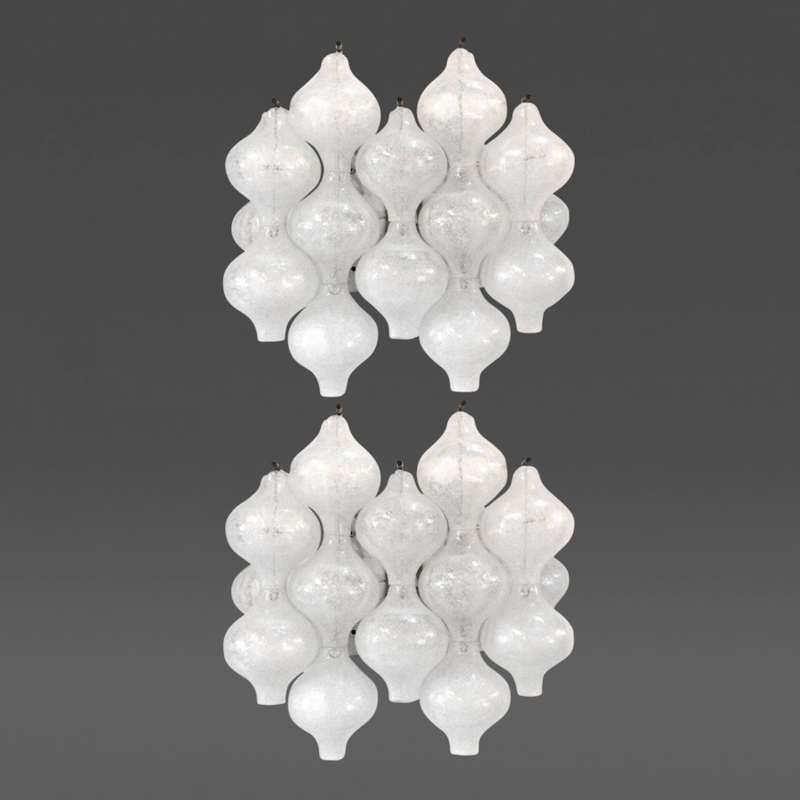 Three-light chandelier by Fontana Arte, Italy, circa 1960s. 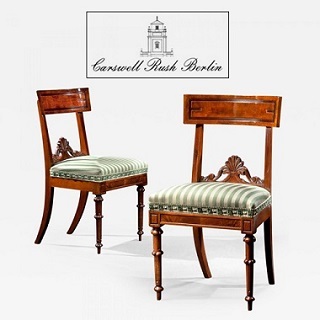 Offered by Bernd Goeckler Antiques. Italian design company Fontana Arte was launched in 1932 with a mission to develop products with a more artisanal feel, from stained glass to furnishings and lighting accessories. 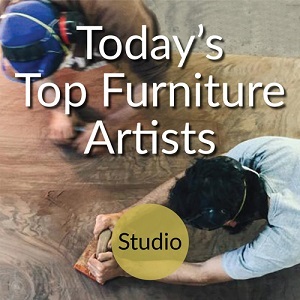 Since its inception, Fontana Arte has been synonymous with iconic lighting design, but also specializes in furniture and other decorative arts objects. Many of their pieces made design history and are still in production today, like the curved-glass Fontana table, Cartoccio vase, and the Luminator floor lamp. 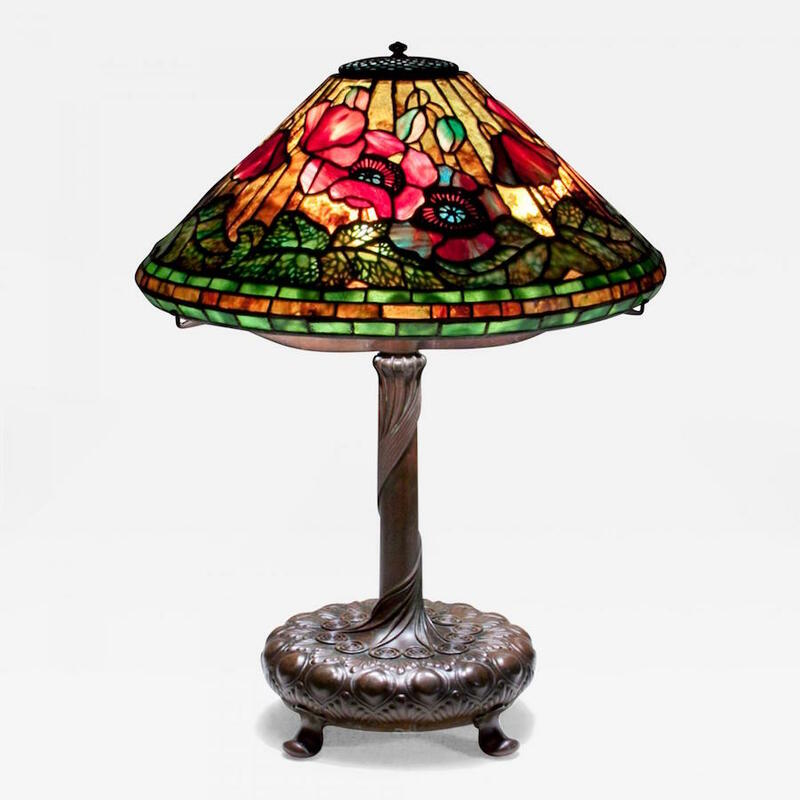 Tiffany Studios Poppy Table Lamp, made of leaded glass and bronze, circa 1906. Offered by Lillian Nassau LLC. 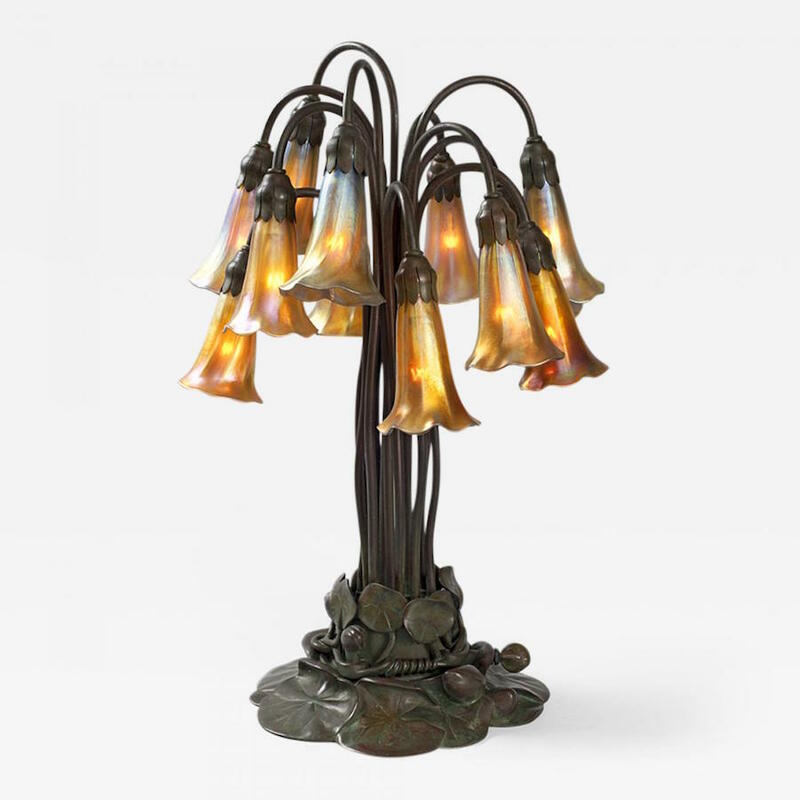 "Twelve-Light Lily" patinated bronze and Favrile glass Tiffany table lamp, circa 1900. 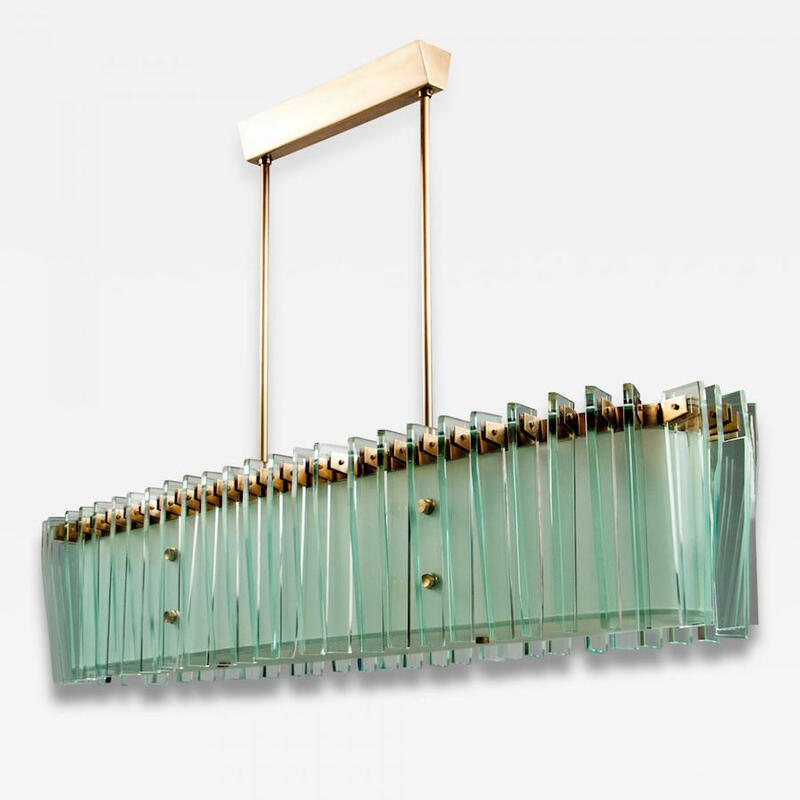 The lamp features 12 iridescent gold Favrile glass shades suspended above a patinated bronze "Lily Pad" base. 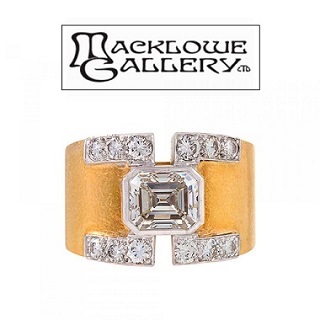 Offered by Macklowe Gallery. 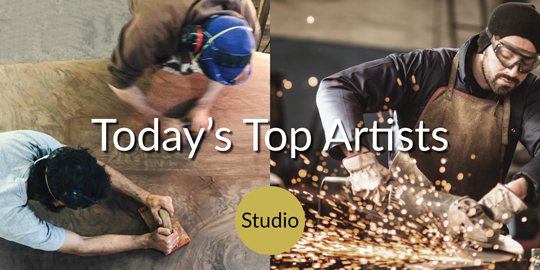 Established by the American artist and designer Louis Comfort Tiffany in 1881, Tiffany Studios was originally known as the Louis C. Tiffany and Company, Associate Artists. Though glass was his specialty, Tiffany experimented with furniture, metalwork, textiles, pottery, enamels, jewelry, and even book design. Always a tireless innovator, he toyed with new glassmaking methods and ultimately pioneered Favrile glass, a richly-hued, iridescent glass that became his trademark. Today, Tiffany lamps are highly sought after and can often command high prices at auction. 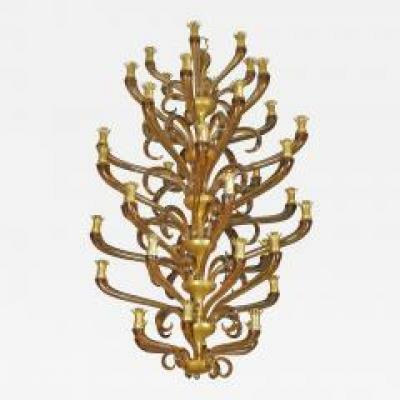 Large Mazzega multi-tiered Italian chandelier, Italy, circa 1960. 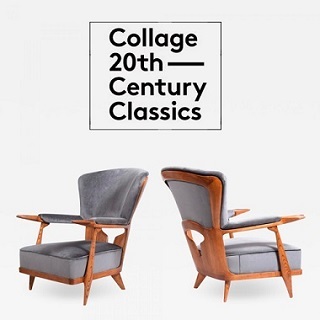 Offered by objects20c. 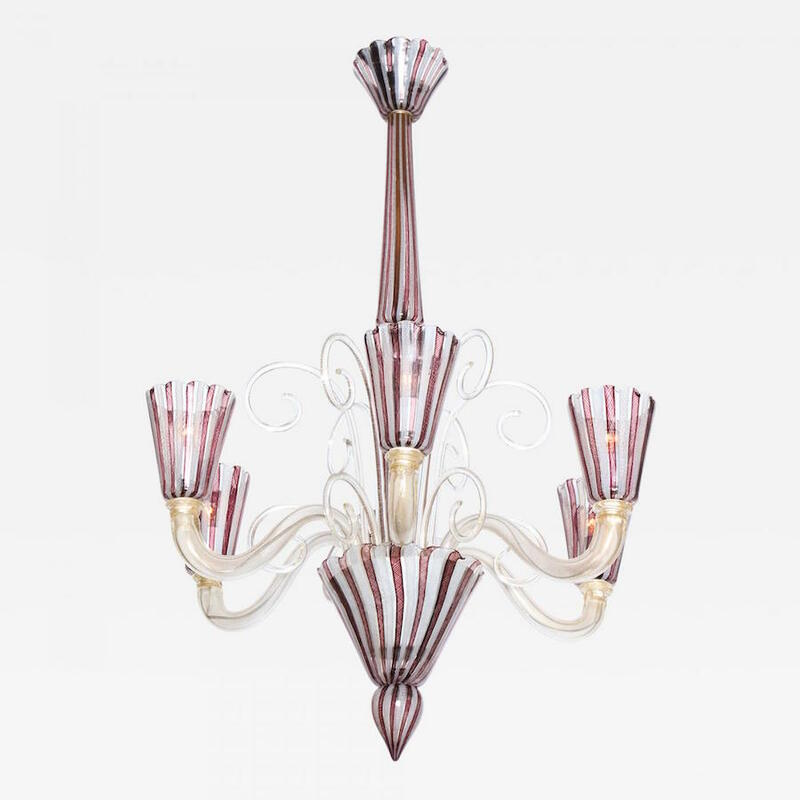 Textured Murano Chandelier by Mazzega, Italy, circa 1960s. 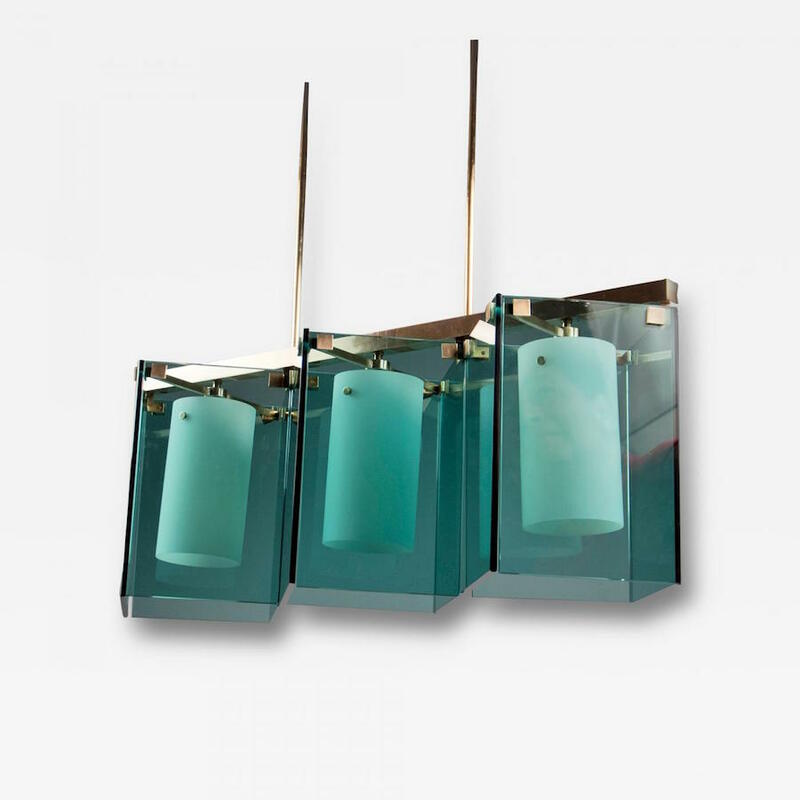 Composed of four textured, handblown glass slabs connected by brass joints. 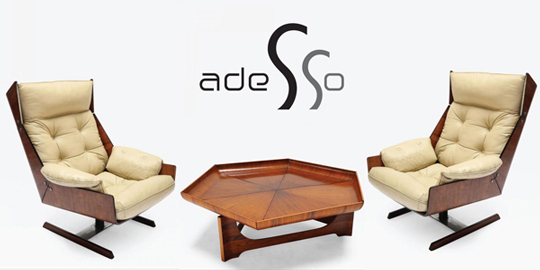 Offered by Gaspare Asaro – Italian Modern. The Mazzega Glass Factory is one of the many glass factories in Murano, Italy. Mazzega’s exceptional glassmakers and designers contributed to the circulation of Murano glass throughout the world in the 20th century. 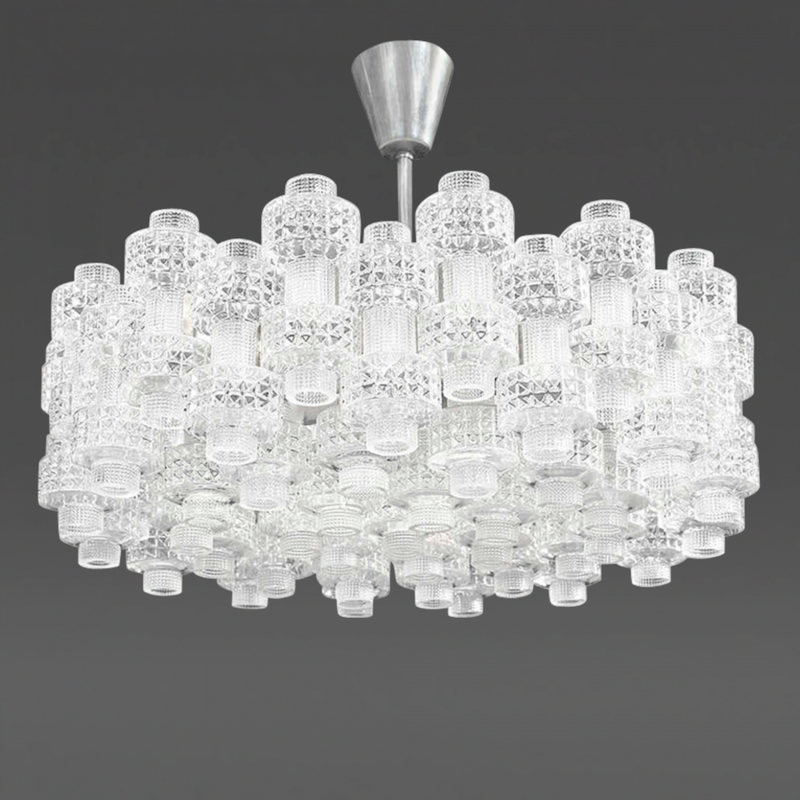 Mazzega Murano is famous for its impeccable hand-crafted glass lamps, chandeliers and pendants.